It's not until you've experienced the difference a roof light can make to your home, that you realise just how much of an impact it can make to a room. Velux roof windows are the perfect addition to your Hull property, because you allow more natural light to flood into your home. When you convert your attic or loft, if roof space allows, you should always consider installing professionally fitted sky lights as an alternative to building a dormer roof. We're Hull based specialists who have many years of experience in installing roof windows and we are also approved installers of Velux products. We have a fantastic reputation across Humberside for the skill and top class craftsmanship that our team demonstrates every time they work on a property. 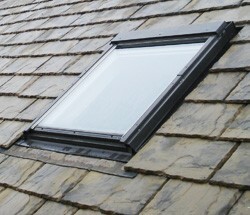 We will offer a free consultation to help you make the right choices when it comes to installing Velux windows. We can also provide a free estimate to help you budget for your works. Get in touch with us today on Hull 01482 549 915.